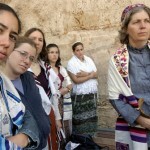 Women of the Wall: Keep Traditional Women away from the Western Wall! 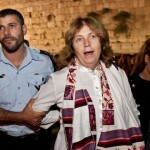 Women For the Wall condemned today the Women of the Wall’s demand that the government prevent traditional women from praying at the Kotel, contained in WOW’s list of demands for negotiating moving to a new, third section. 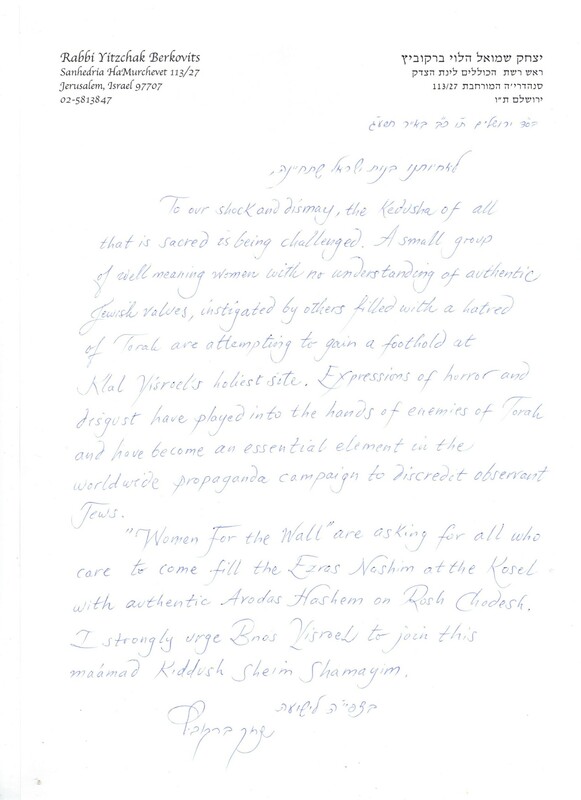 Women For the Wall welcomed statements by Anat Hoffman, Chair Of Women of the Wall, abandoning their previous agenda of fomenting “change” among women who disagree with their feminist agenda. “If Women of the Wall want to become the agents of change, they should do so through action, not pronouncements, by moving to the new plaza immediately,” said Leah Aharoni, co-founder of Women For the Wall. In 24 hours, WOW has proven two things which they have previously denied: that even their “religious” activities are political in nature, and that they do not represent Jewish women. 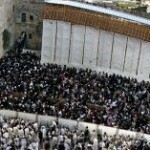 This evening, the Women Of the Wall declared a “sit-in” at the Holy Western Wall. “By organizing a sit-in at the Kotel, Women of the Wall demonstrate what Anat Hoffman has been saying for year — that WOW views the Kotel as an opportunity, and lacks reverence for the place held sacred by millions of Jews around the world,” noted Leah Aharoni, co-founder of Women For the Wall. Come join our prayers at the Western Wall, to show, through sincere Tefilla, that we want to preserve a place for traditional prayers at the Kotel. All prayers begin at 7:00 AM! We respect those who desire a sincere connection to G-d in whatever form, but we ask that everyone respect thousands of years of tradition, and the rights of those who wish to pray as has been done for generations. We ask all who come to the Western Wall to follow the teachings of Aaron, to be "Ohev Shalom uRodef Shalom," to love and pursue peace, and to treat all with respect and dignity. When it Comes to the Western Wall, the Conservative Movement Should Listen to its Founders! 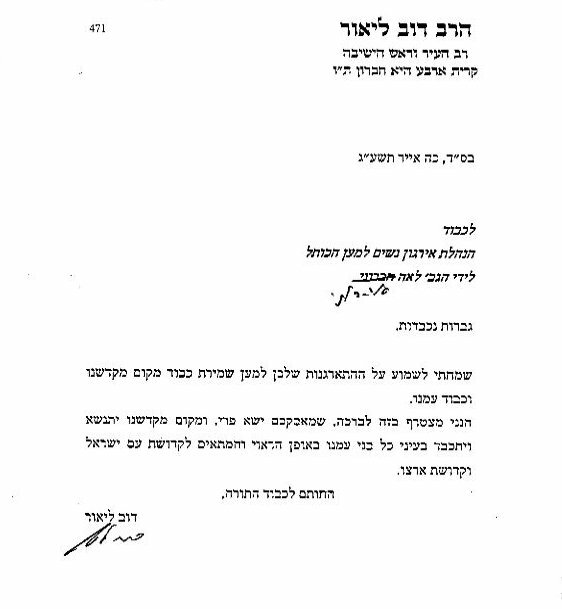 Birkat Kohanot? Priestess’ blessing at the Wall?